These community fundraising programs come at no extra cost to you and provide a variety of ways in which a percentage of your current shopping is donated back to PHEF. See below to sign up and learn more about how each program can raise money for the students of Pleasant Hill! Giving Assistant makes it easy to donate to Pleasant Hill Foundation! Simply shop online, earn cash back, and donate as much as 30% of your purchase price—Giving Assistant facilitates the whole process. Now, you can help change the world for free while saving money at over 3,000 popular online retailers like Macy's, Old Navy and Lowes! Amazon Smile will donate .5% of the price of your eligible Amazon Smile purchases to PHEF. Use this link to go directly to smile.amazon.com and start shopping in support of PHEF. It doesn’t look like a lot, but it all adds up! Visit the Fred Meyer Community Rewards website via this link to set up your rewards card today! All you have to do is link your Rewards Card and scan it every time you shop at Fred Meyer. Whenever you use your Rewards Card when shopping at Freddy’s, you will be helping PHEF earn a donation from Fred Meyer. You still earn your Rewards Points, Fuel Points, and Rebates, just as you do today. You can search for us by our name or by our non-profit number 88261. If you do not have a Rewards Card, you can sign up for one at the Customer Service Desk of any Fred Meyer store. 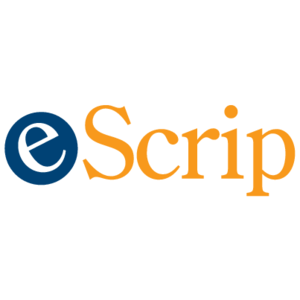 eScrip is a network of online vendors. In order to assure your shopping counts toward fundraising for PHEF, you must be signed in at eScrip.com each time you shop. Vendors include stores such as Gap, Apple, Nordstrom, The Home Depot, Lowes and more! Click here for the complete list. Sign Up with eScrip to start fundraising today! Make sure to Update your Account: go to http://www.escrip.com and select "Sign in to my eScrip", then enter your Subscriber ID number and password. Add new credit Card numbers, debit cards, and all your grocery cards that need registering with eScrip. Make sure PHEF is your designated organization!